OFFICINA MECCANICA ALESSANDRO PANZERI IS SPECIALIZED IN MECHANICAL PROCESSING MADE THROUGH CNC CAD / CAM TOOLS. CONTACT US TO RECEIVE A QUOTATION OR FOR MORE INFORMATION. HAS NUMERICAL CONTROL MACHINES TO PRODUCE COMPLEX COMPONENTS. Officina Meccanica Alessandro Panzeri, based in Merate, Lecco (Lumbardy), has specialized in the production and design of third-party complex mechanical parts for small and medium to non-standard production for over 30 years. 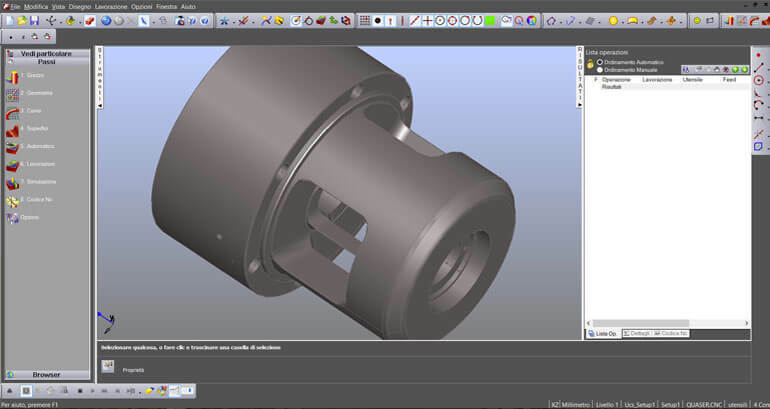 The highly qualified staff and the use of integrated software systems for computer-aided design with CAD / CAM manufacturing facilities, enable the company to better control all production phases up to finished product. This always ensures optimal results and customers’ needs satisfaction.